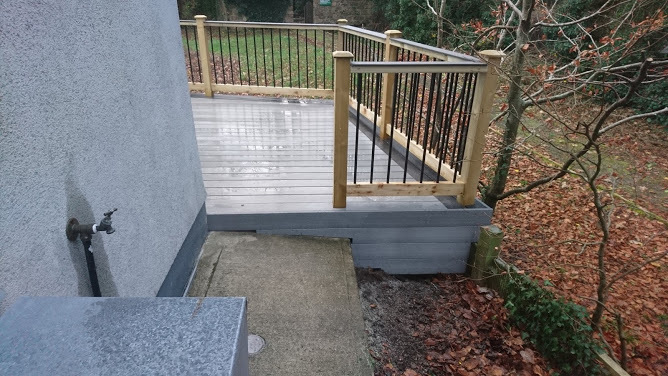 We completed this deck a couple of weeks ago in Leitrim for a couple who were thinking ahead when booking us early to ensure they had the deck finished and ready for all the sun filled evenings during the summer. 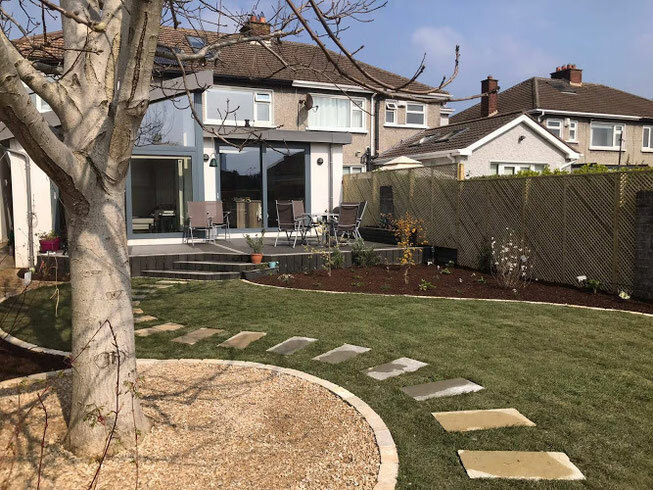 On this job we teamed up with the guys over at www.GardensTransformed.ie to complete this job for this very satisfied client who was over the moon with the finished product. A job well done with two very happy customers! 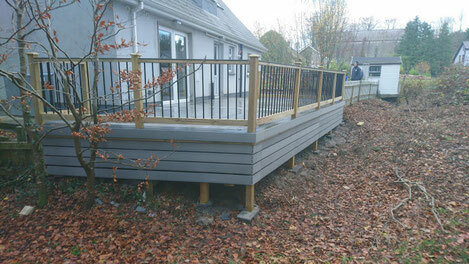 This is a deck we completed recently in Clane for James and Linda. 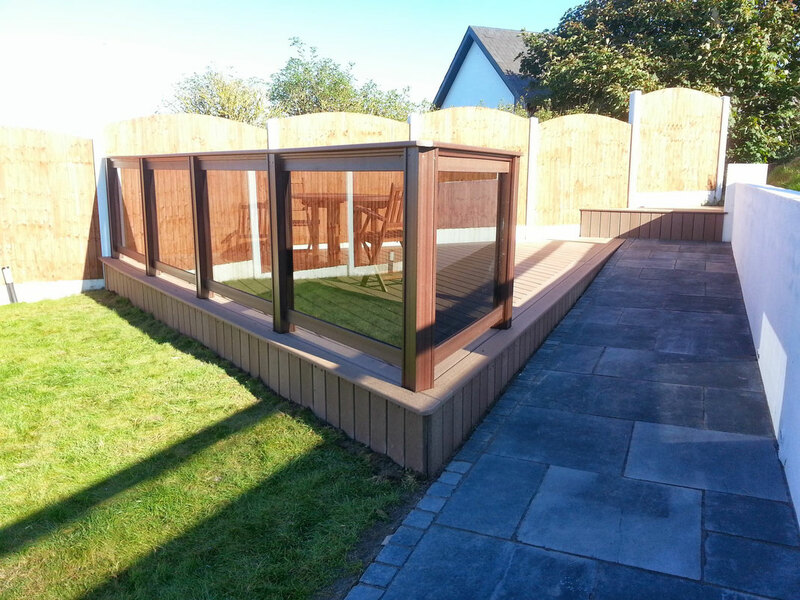 They decided to go with our eben colour decking for this nice secluded area in their garden. 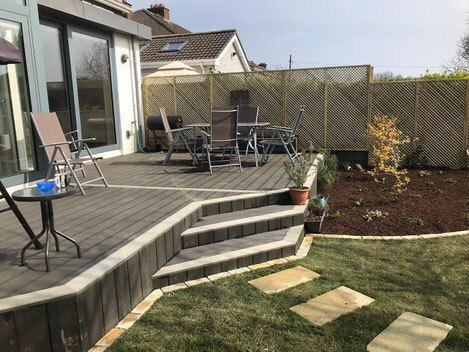 Not only has this decking brought a new life to the garden it also creates a space to entertain friends and family for the remainder of this amazing summer we are having and many more in the future! 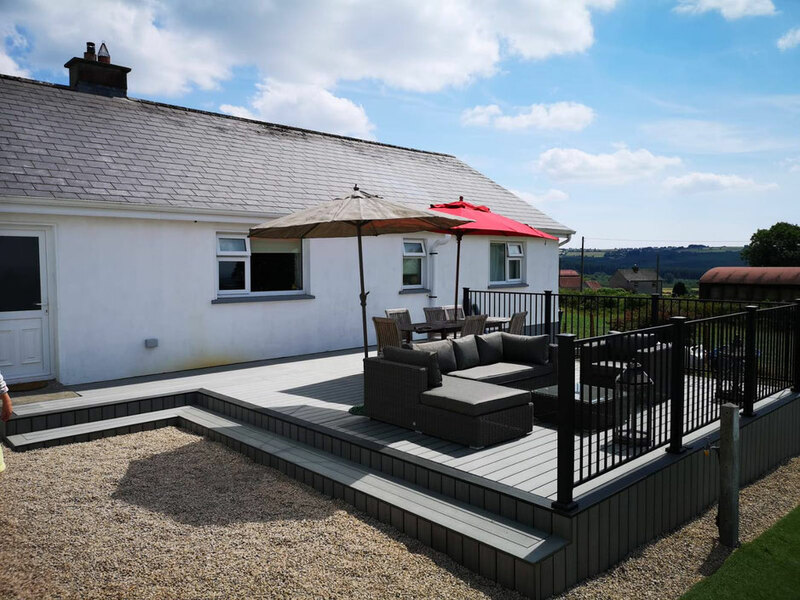 A deck with a view!!! 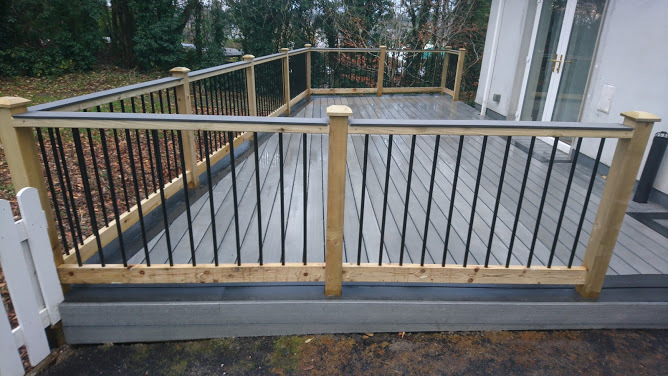 This Balcony deck with glass railings and is the perfect replacement for a 12 year old timber decking which had rot and poor slip resistance. 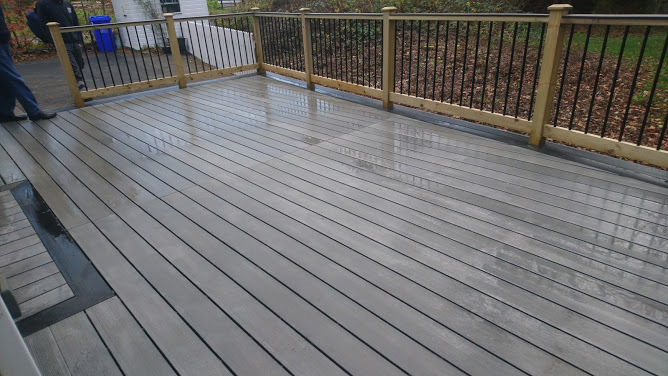 This is a typical feature of timber decking with the Irish climate. 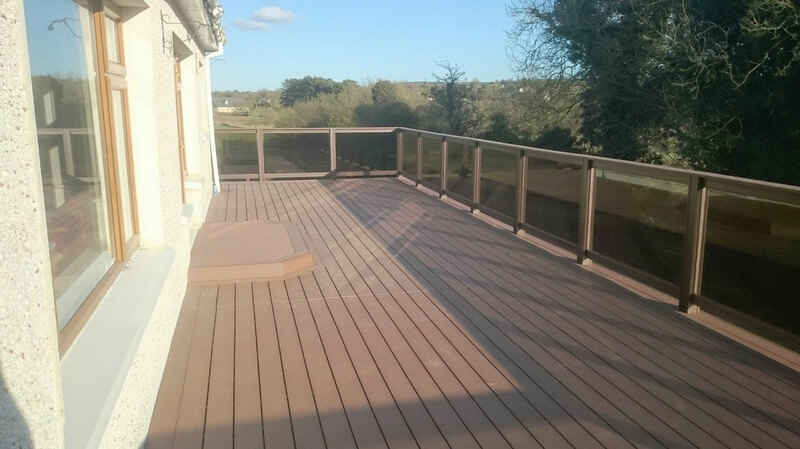 Replaced by composite decking we are proud to present a fantastic finish for a deck with a view. 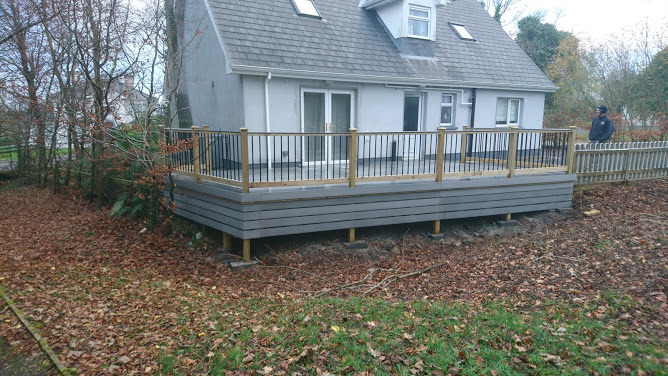 A replacement job due to previous decking rotting and only 12 years old.We replaced with composite board and glass railings. 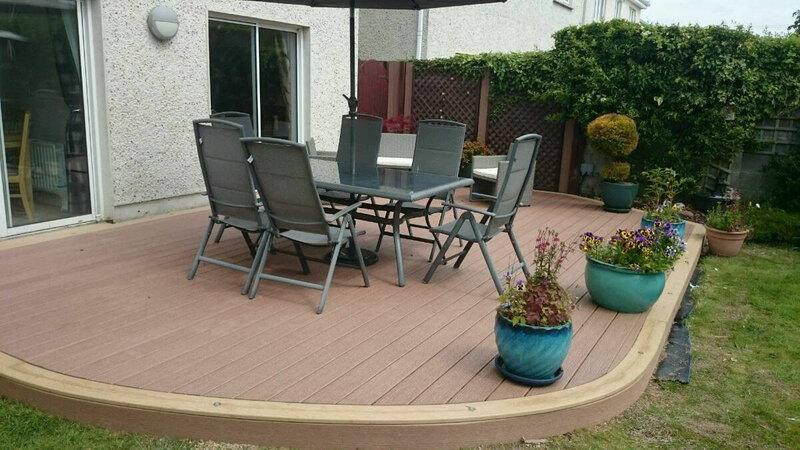 Composite Decking added to customers back garden to make an ideal sun trap for the late evening sun. 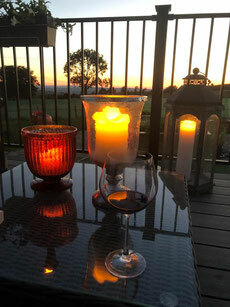 Glass railing makes an ideal wind breaker as well as adding a touch of class. 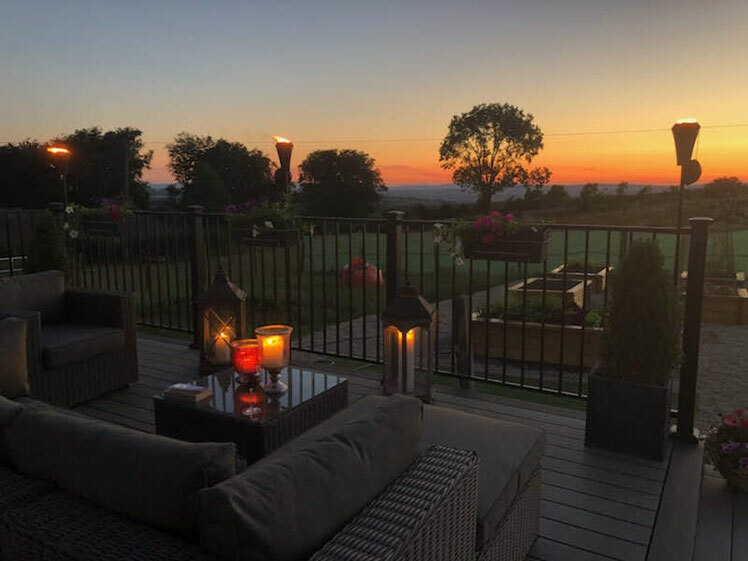 This is an ideal spot to enjoy the view of the Irish Sea in the evening time while benefiting from the shelter of the wind. Ballycotton is a place I will definitely return to visit. 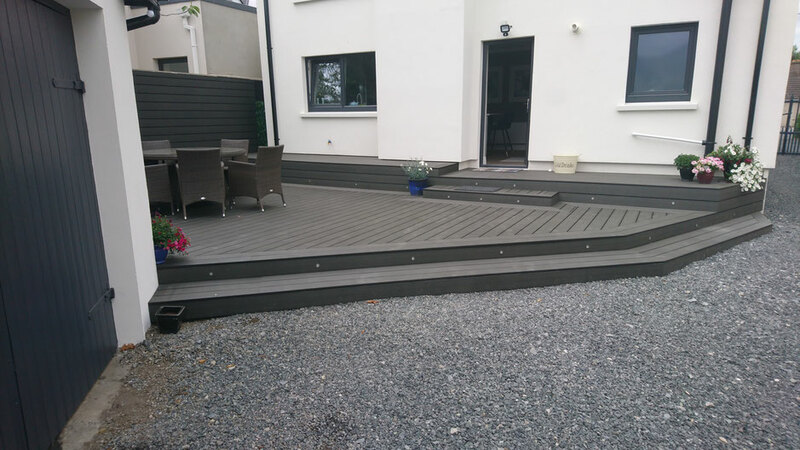 Replacement of an 8 year old hardwood decking due to rot and lack of slip resistance, typical to the Irish climate.